Our editor Jon Sutton reports from the Annual Meeting of the British Psychological Society's Psychobiology Section. In the words of Sam Cooke, ‘I don’t know much biology’, so it was with some trepidation that I attended my first Psychobiology Section Annual Meeting. I needn’t have worried: this was no reductionists’ retreat but a meeting of minds and matter which had both feet firmly in the real world. Right from the off, physiological processes were linked to important societal issues, starting with Dr Mark Wetherell’s continuing exploration of the way caregiver stress has consequences, such as everyday memory lapses. He made the point that deficits in the lab may not translate into real world detriments in care, because ‘the carers adopt strategies and coping mechansisms to make damn sure they don’t’ – but this in itself adds significantly to the care burden. Wetherell’s Northumbria University colleague, Dr Philippa Jackson, then looked at whether polyphenols could improve cognition and mood, finding that apple and coffee berry extract did indeed increase alertness and reduce mental fatigue, perhaps through an increase in cerebral blood flow. In the first of these areas, Vedhara explained that stress is often cited as a causal factor in infertility, but the actual evidence is mixed. Measuring acute and chronic levels of cortisol in saliva and hair respectively, in 190 women undergoing IVF, Vedhara showed (for the first time) that it was chronic levels of stress only – in the three months before treatment – which predicted whether or not the women became pregnant. At the other end of the lifespan, Vedhara considered psychological influences on the healing of diabetic foot ulcers – a condition with a five-year mortality rate higher than some forms of cancer. Confrontational coping emerged as important – perhaps counter-intuitively, those who attempted to tackle their problem head on were less likely to have a healed ulcer six months later. Vedhara explained this in terms of poor quality and conflicting health information leading to unhelpful behaviours (step forward the patient who let his ulcer breathe, and walked around on the carpet to ‘soak it up’). Lay beliefs about illness and mortality were also implicated: time to death was more rapid in patients who were more affected emotionally by their ulcers, who felt their ulcers had more serious consequences and would last for a long time, who believed they experienced more symptoms, and that they could do little to influence ulcer outcomes. Again, the way Vedhara controlled for and homed in on clinically relevant variables was impressive, as was her desire to take this to the next level through prospective studies and psychological interventions. The latter point was uppermost in her discussion of ‘vaccine adjuvants’: who knew that vaccines don’t work with everyone, and that something as simple as mood on the day of vaccination could be an important and viable target for manipulation? The second day began with ‘a talk about how to do research without a budget’, from Dr James Jackson (Leeds Trinity University). Getting a women’s rugby team and controls to stick their hands on a photocopier, he found that women with a left-hand 2D:4D ratio of 1.00 or above were ten times more likely to engage in contact sports. This was followed by an intriguing suggestion from Dr Sarita Robinson (University of Central Lancashire) that psychosocial factors in oral health may have a knock-on effect on Alzheimer’s Disease, through bacteria from the mouth getting into the brain and causing inflammatory responses. The effect of poor sleep was also considered, as the lymphatic system is activated during sleep and uses glial water to clear pathogens from brain. Sleep restriction was also the focus for Dr Chris Alford (University of the West of England), in relation to driving distraction. The folk idea of switching on the radio to overcome drifting attention on the road received some experimental support in the driving simulators, but this was still not able to truly overcome the detrimental effects of sleep loss. Turning to technology, Dr Catherine Loveday (University of Westminster) outlined some of her work using pictures as extremely powerful cues for remembering. From a Wellcome art-science project on St Kilda to a guided tour of London, her use of the Autographer lifelogging camera with a patient with amnesia showed how ‘the whole thing comes to life’ with the visually aided recall. Professor Julie Turner-Cobb (Bournemouth University) then outlined the use of a robot panel in a social stress testing paradigm, and Dr Ann-Marie Creavan (University of Limerick) spoke on enhancing the reproducibility of cardiovascular stress research through a standardised protocol across Galway, Limerick and Cork. This led nicely to Professor Marcus Munafò’s guest lecture on scientific ecosystems and research reproducibility. At the heart of his whistlestop tour of the ‘replication crisis’ is the idea that the pressures on researchers shape their behaviours, typically in unconscious ways, and that the drivers of the problems are the things that psychologists are well placed to understand. Munafò rails against the highly curated version of science we see – publication bias, P-value fishing, overselling, post-hoc storytelling, the lure of sparkly ‘groundbreaking’ results which leave us building nothing of true significance. Take the ‘garden of forking paths’ which is how many researchers work through their data to a conclusion that suits them. ‘Unless you tell your readers the number of times you rollled the dice, that p value is basically uninterpretable… People are leveraging chance by exploring the analytical space and just presenting one path from it. Which one are you going to choose if you’re going for your first post-doc, your first lectureship, your first chair?’ Over 90 per cent of published psychology findings claim to have found what they set out to look for in the first place, and as Munafò says that surely can’t be right. Yet what is good for scientists is not necessarily what is good for science. The current system selects for people who work in a bad way, Munafò argues, treating academics ‘as furry rodents foraging for academic success’. The final day saw talks including ‘emotional snacking’ and its relationship with sleep quality in Type 1 diabetes, via ‘altered neuroendocrine sleep architecture’ (Dr Michael Smith, Northumbria University); disgust as a behavioural immune system (Dr Lorenzo Stafford, University of Portsmouth); and Dr Chris Alford (University of the West of England) on 5HTP (a natural serotonin precursor, available over the counter) in daytime mood and night sleep. Gail Lincoln (University of Westminster) brought psychological and biological measures together, in quantitative and qualitative form, to consider why older homeowners decide to ‘downsize’ or stay. Take home message: if you’re going to do it, move before the age of 76! Finally, Dr Richard Stephens (Keele University) supported the idea that physical and social pain (being excluded from a computer game, ‘Cyberball) are linked, and that ‘directed swearing’ can be a practical strategy for reducing such pain. It even has a name – lalochezia. 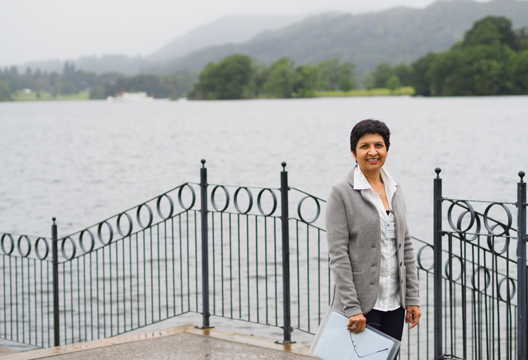 This annual meeting, in the Lake District, is billed as ‘where the science is as good as the view’. I’d go further (and not just because it rained a lot): the science is better, and all areas of psychology have a lot to learn from it. - In future editions, we will run interviews with both Professor Kavita Vedhara and Professor Marcus Munafò.